Thousands of people suffer injuries and illnesses due to defective pharmaceutical products each year in the United States. This includes over-the-counter medication, prescription drugs, and other products used for therapeutic treatments. If you or your loved one suffered an injury or illness due to defective pharmaceutical products in Frederick, Maryland, you can get legal help. A personal injury lawyer from Frederick, MD, knows the local law and can help you to file an injury claim which may get you compensation. No pharmaceutical product is without risks and dangers. You must be aware that the multi-billion-dollar Pharma corporations are fighting to stay on top, and sometimes they cut some corners. It is not uncommon for companies to neglect very expensive testing just to push their products on the market faster. Every year, thousands of drugs are called back due to the injuries they produce. 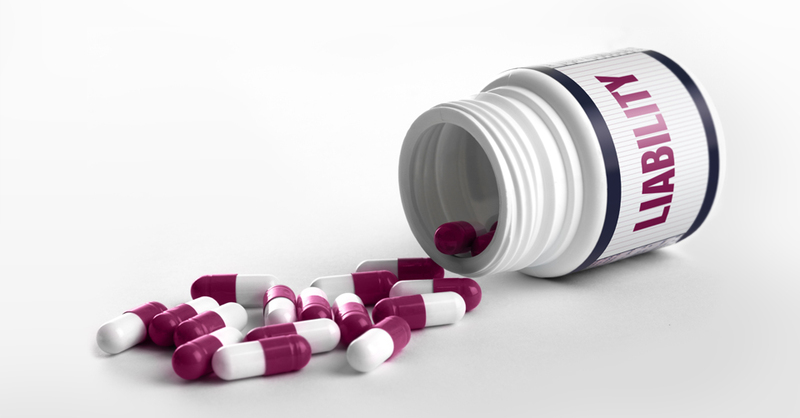 Suffering an injury or illness after consuming a defective pharmaceutical product is dangerous and could require expensive recovery treatment which you may not afford. Your Frederick injury lawyer can help you receive enough money in you compensation to cover all the expenses. A personal injury attorney from Frederick, MD, will stand up against large Big Pharma companies and ensure the defective products will be taken off the market. According to the law, the product manufacturer needs to utilize reasonable care in manufacture, testing, inspection and design of all goods. This ensures the safety of their products. Your Frederick Injury attorney knows that this includes warning consumers if a certain ingredient may cause adverse reactions. It is also the manufacturer’s job to inform the consumer and all agencies about the problems generated by a certain product. The law in MD also states that if a manufacturer uses a material/information from another supplier’s product, it is their duty to make a reasonable inspection and test their safety. Even those who distribute the pharmaceutical products are bound by the strict covenant of transparency. With the help of a personal injury attorney from Frederick, MD, you can conduct a thorough investigation and determine when and how the chain of responsibility was broken, and also bring the liable party to justice. The most common legal theory for defective products is negligence. This happens when the plaintiff claims that someone from the chain of distribution/manufacture did not respect their legal duties to protect the customers. To win this type of allegation, your Frederick injury lawyer will show how the defendant failed to use reasonable/ordinary care in producing, manufacturing, testing, selling, or designing the product. Unlike the previous type, the strict liability requires for your Frederick injury attorney to prove as the defective product is clearly evident. The damages received for a defective pharmaceutical product consist of medical expenses, physical injuries, mental anguish, pain and suffering, disfigurement, the loss of capacity to work, property damages, lost wages, etc. For more information about pharmaceutical products, you should contact the best persona injury lawyer in Frederick, MD at (443) 569-3950 or via email at [email protected] for a free consultation of your case.